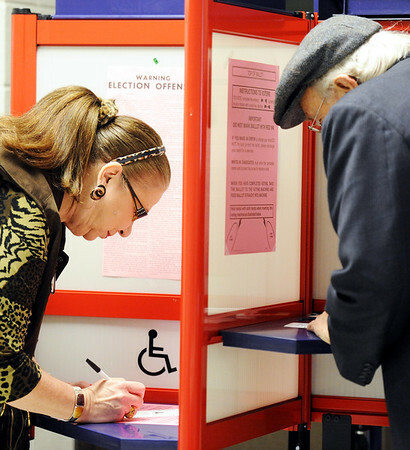 Carolyn Warren and Bob Warren, of Webb City, vote Tuesday afternoon, Feb. 7, 2012, at Webb City Junior High School. They were what was jokingly defined as "a rush" by Webb City election officials. "I think maybe we had three at one time all day," said Maxine Carlson, supervisory election judge. "We even had a leisurely lunch today."